In a note obtained by AppleInsider on Monday, Kuo says the forthcoming form factor will join Apple's existing 12-inch MacBook with Retina display, an interesting strategy considering only one inch on the diagonal separates the two models. 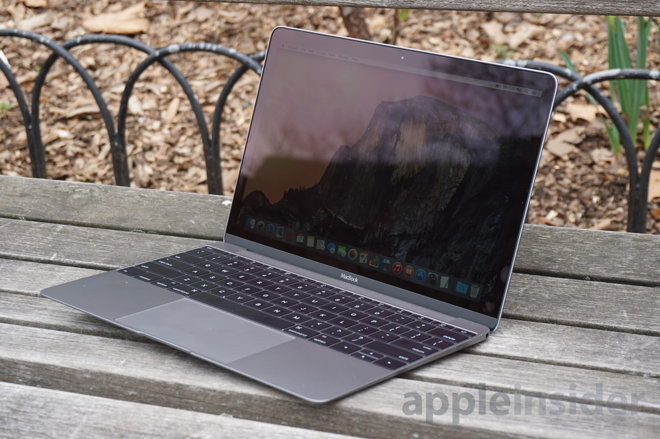 Apple might be playing at the long game, however, as the analyst foresees a coming end to meaningful development of the MacBook Air series. Instead of upgrading to high-resolution Retina displays, speedy I/O technology and Force Touch trackpads, 11- and 13-inch MacBook Air upgrades are predicted to stagnate, turning the former thin-and-light flagship into an entry level offering, Kuo says. Much the same happened to the erstwhile polycarbonate MacBook. The analyst earlier today predicted big changes for Apple's MacBook Pro lineup. Of note, the new Pro models are thought to integrate Touch ID fingerprint recognition technology, an OLED touch bar, USB-C, Thunderbolt 3 and more, all crammed into a slimmed-down aluminum chassis. Kuo pegs a fourth quarter launch date for the refreshed MacBook Pros. If the updates do indeed come to pass as Kuo describes, Apple's laptop product line will once again return to a clearly delineated three-tier structure, with MacBook leading in portability, MacBook Pro positioned as the all-out performer and MacBook Air taking over as the budget device.